How to Buy Physical Silver Bullion? Once you have decided to make a purchase of physical silver, your next step is to decide how you are going to facilitate the buy. Because our site advocates buying silver online, this article will be directed at answering the question “How do I buy silver online?” The main questions that need to be answered in this scenario are how you will pay for your silver bullion, and where you will store your silver bullion. Both topics will be covered extensively below. Online precious metal dealers offer several payment methods, but not all dealers are the same. Investors or collectors buying bullion online must check to be sure that their purchase is locked in as soon as they “place their order.” Real time market prices for precious metals change constantly throughout the day. If an order is placed and there is a lag in time, customers could benefit from a lower price or end up paying more than they bargained for. Larger precious metal dealers will offer an option to transfer money from a bank to complete a purchase. Customers can lock in the price with a small credit card hold until the bank transfer clears. Other online dealers allow for money orders or checks that are physically mailed in for deposit. 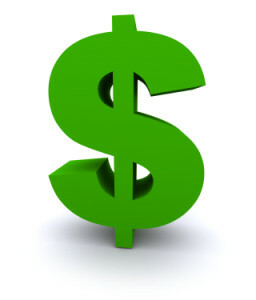 The price of items being purchased will remain the same until the money order or check is received. Many have a limit to how long an order can be held for payment. After that, the order will be canceled and fees applied. Cash payments are not offered through online precious metal dealers, as this is an insecure and risky way to pay for precious metals and any cash purchases that exceed $10,000 total for one transaction will have to be reported. These large sums will cause suspicion and possibly investigation. When payment is refunded due to a discrepancy or returned order, the customer’s credit card is credited minus any fee charged for the return. All returns will be subject, with any online precious metal dealer, to a reduced amount if the price of the metal changed since the purchase was made. If silver goes down in price before being returned, that returned product is no longer worth what it was when the customer bought. Every bullion dealer has to enforce this policy or they would lose too much money. The precious metal market changes minute by minute. Some online bullion dealers allow customers to use PayPal for payment. PayPal is very secure and customers do not have to be members of PayPal to use their credit card for their order online. PayPal is accepted everywhere and offers additional protection on payments and purchases through their own secure system. As with any online transaction, investors need to know and read the payment and return policies before purchasing bullion online. Before placing any order, make sure to do your due diligence on the dealer to ensure you are dealing with a reputable counter party. A few sources we recommend checking include GoldDealerReviews.com, as well as the BBB (here is an example JM Bullion BBB listing). After purchasing silver bullion as an investment, the next consideration is how and where to store it. There are several options and each one has pros and cons. Silver investors will need to choose what the most secure option is while allowing them access at any time to their silver bullion. Storage for silver bars accomplishes protection against theft, loss, damage, and possibly government confiscation in a dire need arising from war, industrial shortages, or other disaster. This is not to say the third possibility is likely to happen—but after investing hard earned money in silver, no one wants to have them gone due to lack of secure storage. One imaginative yet viable storage solution for silver bullion is simply not telling anyone they were purchased. If an investor can purchase silver bullion from a garage sale, estate sale, or precious metal exchange and not require a paper trail, they can find a place at home or another location to store their silver safely with no indication they own them. This is quite unorthodox, but can be effective. Storing bullion at home or in another accessible building requires some creative thinking. Silver can melt under excessive heat such as in a house fire, or be stolen if they are not properly hidden. Use unopened food boxes by carefully cutting open the bottom of the box. Place the silver bars in the box along whatever packaging is there, or empty the packaging if it is too bulky. Be careful not to damage the box. Be sure the bars do not move around. Reseal the bottom with glue and place in a food storage cabinet. Use a fireproof storage lockbox small enough to fit inside a wall. If able to, cut a small opening between the framing and place the lockbox inside. Reseal the wall, repairing the surface so it does not look altered. Find a location in a garage or out building where a bucket of supplies can be emptied and the silver stored underneath. Replace the contents and store with other similar containers. These are only a few. The internet abounds with ideas. If an investor would rather have the silver bullion stored by an organization, there are a few options. 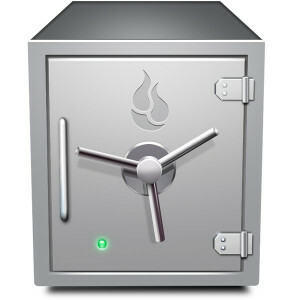 A safe deposit box at a bank is a possibility, but so is the chance the bank were to shut down permanently with no notice to customers. In 2009 and 2010, thousands of smaller banks in the United States closed their doors. Another option is a self-storage unit, but there are concerns with security and also not having access if that business were to be shut down for non-payment of mortgages. The most viable option, if an investor doesn’t mind not having direct possession of silver, is a business that provides precious metal storage. This storage solution requires an investor to ask for proof of reliability and integrity so their silver will be safe even from a corrupt storage owner. Most large online precious metal dealers offer storage solutions, but if not purchased through these companies, a separate storage business is needed. Researching the reputation of whatever company may be chosen for silver bar storage is necessary. It’s also good to check with the local Better Business Bureau and to inspect the facility by visiting the grounds and checking the security measures. If any of the company’s options are not up to par, it’s advisable to continue interviewing until all concerns are met. Investing in silver is not a hobby, and effects an investor’s net worth. Storage solutions are part of the investment process, and should be treated as such.